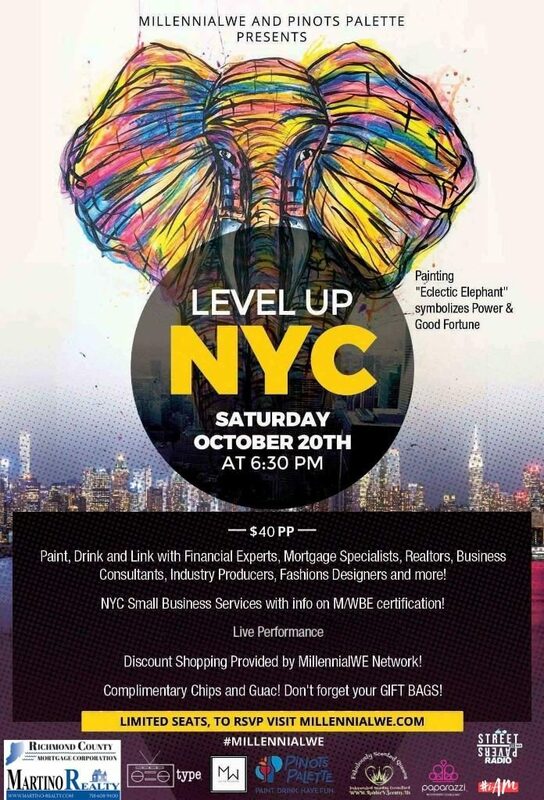 Join us Saturday 20th, 2018 at 6:30 pm at Millennial WE Network Event! Networking Event at Pinots Palette. Paint, Drink, and Link with Financial Experts, Mortgage Specialists, Business Consultants, Industry Producers, Fashion Designers and more. Live Performace, Discount shopping and complimentary food!